Team Up in English 1 Student's book (4-level version) The Student’s Book is divided into 4 folders. Each folder is subdivided into 3 units. Two double page spreads of Input: Lexis/ functions. The Unit opens with a large photograph and the first language input consists of a dialogue (or...more.. Team Up in English 1 Workbook + Audio CD (4-level version) The Workbook contains further exercises for revision and to reinforce the concepts presented in the Student’s Book. In every unit there are skills activities in order to progressively develop the autonomy of the student. Particular emphasis is given to listening ability. The...more.. Team Up in English Personal Toolkit (for the 4 levels) The students ore offered a personal and flexible instrument for consultation and reflection on the language. This ring binder is a flexible tool which can be adapted to various uses, it helps the teacher to manage the class with different levels of ability. The Personal Toolkit is...more.. Team Up in English 1 Teacher's book (4-level version) + 2 Audio CD Each Level of the Team Up in English course comes with a Teacher’s Book and the two class CDs containing all of the listening material from the Student’s Book. The teacher’s book contains: -Tables of contentsmore.. Team Up in English 1 Digital Book CD-ROM (4-level version) is an easy to use interactive CD-ROM, designed for the interactive whiteboard, for use in the language lab or home study. It contains the Student's Book in digital format with interactive exercices and all the recorded listening activities. Also available the PDF version of the Activity Book. Minimum System...more.. Team Up in English 1-2 Tests and Resources + Audio CD + CD-Rom Test Maker (4-level version) Tests and Resources Team Up in English Tests and Resources is a support tool for the teachers, presented in two volumes, both of each comes with Audio CD. Each volume contains the following photocopiable material which can be used in class:more.. Team Up in English 2 Student's book + Reader + Audio CD (4-level version) The Student’s Book is divided into 4 folders. Each folder is subdivided into 3 units. Two double page spreads of Input: Lexis/ functions. The Unit opens with a large photograph and the first language input...more.. Team Up in English 2 Workbook+CD (4-level version) The Workbook contains further exercises for revision and to reinforce the concepts presented in the Student’s Book. In every unit there are skills activities in order to progressively develop the autonomy of the student. Particular emphasis is given to listening ability. The...more.. Team Up in English 2 Teacher's book (4-level version) + 2 Audio CD Each Level of the Team Up in English course comes with a Teacher’s Book and the two class CDs containing all of the listening material from the Student’s Book. The teacher’s book...more.. Team Up in English 2 Digital Book CD-ROM (4-level version) is an easy to use interactive CD-ROM, designed for the interactive whiteboard, for use in the language lab or home study. 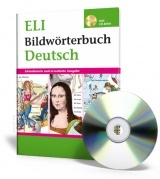 It contains the Student's Book in digital format with interactive exercices and all the recorded listening activities. Also available the PDF version of the Activity Book. Minimum System...more.. Team Up in English 3 Student's book + Reader (4-level version) The Student’s Book is divided into 4 folders. Each folder is subdivided into 3 units. Two double page spreads of Input: Lexis/ functions. The Unit opens with a large...more.. Team Up in English 3 Workbook + CD (4-level version) The Workbook contains further exercises for revision and to reinforce the concepts presented in the Student’s Book. In every unit there are skills activities in order to progressively develop the autonomy of the student. Particular emphasis is given to listening ability. The...more.. Team Up in English 3 Teacher's book (4-level version) + 2 Audio CD Each Level of the Team Up in English course comes with a Teacher’s Book and the two class CDs containing all of the listening material from the Student’s Book. The teacher’s book...more.. Team Up in English 3 Digital Book CD-ROM (4-level version) is an easy to use interactive CD-ROM, designed for the interactive whiteboard, for use in the language lab or home study. It contains the Student's Book in digital format with interactive exercices and all the recorded listening activities. Also available the PDF version of the Activity Book. Minimum System...more.. Team Up in English 3-4 Tests and Resources + Audio CD + CD-Rom Test Maker (4-level version) Tests and Resources Team Up in English Tests and Resources is a support tool for the teachers, presented in two volumes, both of each comes with Audio CD. Each volume contains the following photocopiable material which can be used in...more.. Team Up in English 4 Student's book + Reader + Audio CD (4-level version) The Student’s Book is divided into 4 folders. Each folder is subdivided into 3 units. Two double page spreads of Input: Lexis/ functions. The Unit opens with a large photograph and the first language...more.. Team Up in English 4 Workbook+CD (4-level version) The Workbook contains further exercises for revision and to reinforce the concepts presented in the Student’s Book. In every unit there are skills activities in order to progressively develop the autonomy of the student. Particular emphasis is given to listening ability. The...more.. Team Up in English 4 Teacher's book (4-level version) + 2 Audio CD Each Level of the Team Up in English course comes with a Teacher’s Book and the two class CDs containing all of the listening material from the Student’s Book. The teacher’s book...more.. Team Up in English 4 Digital Book CD-ROM (4-level version) is an easy to use interactive CD-ROM, designed for the interactive whiteboard, for use in the language lab or home study. It contains the Student's Book in digital format with interactive exercices and all the recorded listening activities. Also available the PDF version of the Activity Book. Minimum System...more..